Enjoy a regular supply of the UK’s best beers with the new Naked Beers subscription service. 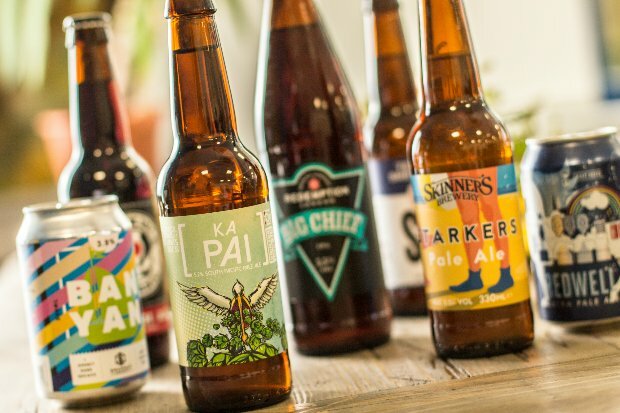 The List, in association with Naked Beers is offering you an exclusive £10 discount to be redeemed against your first two quarterly cases of craft beer (a saving of £20). The service is perfect for those looking to discover new brews or enjoy craft classics. The ever-changing selection comes from top UK breweries ensuring you get a quality beers every time. Each beer is sourced direct from the brewery and is brewed close to shipping for freshness, ensuring only the most flavoursome beers make it to you. This exclusive voucher code entitles you to a saving of £20 with £10 off each of your first two cases of beer. A case contains 20 beers (regular price £49.99) and Naked Beers are so certain you’ll love what’s on offer that they have a no-nonsense money back guarantee. Claiming your money saving voucher is easy. Simply head over to Naked Beers, enter your details and receive your voucher code to start browsing. For UK residents aged 18 or over. Offer applies to new Naked Wine/Beers subscribers only. Cannot be used in conjunction with any other offer. Your voucher can be used against your first two quarterly cases only. One voucher per customer.